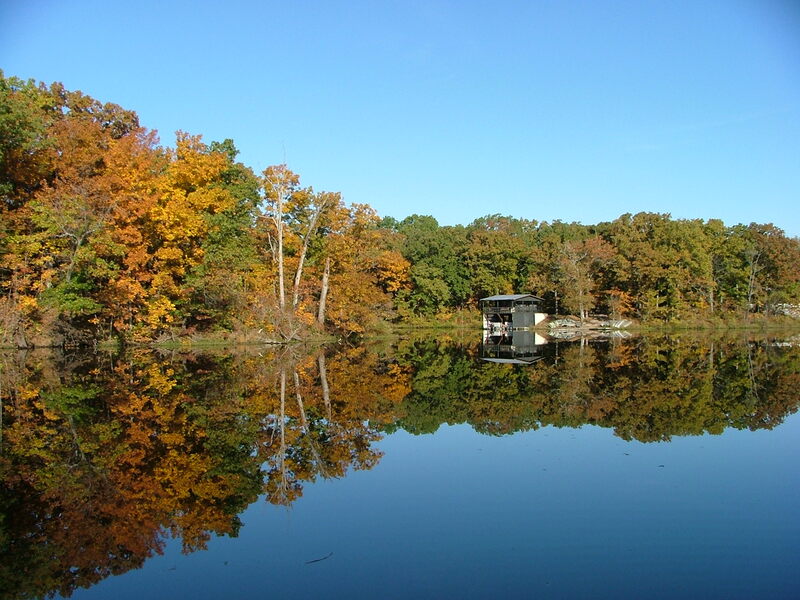 Fall is the perfect time for a getaway – especially when it is to DuBois Center! Leave the boys at home for this weekend away with the girls. 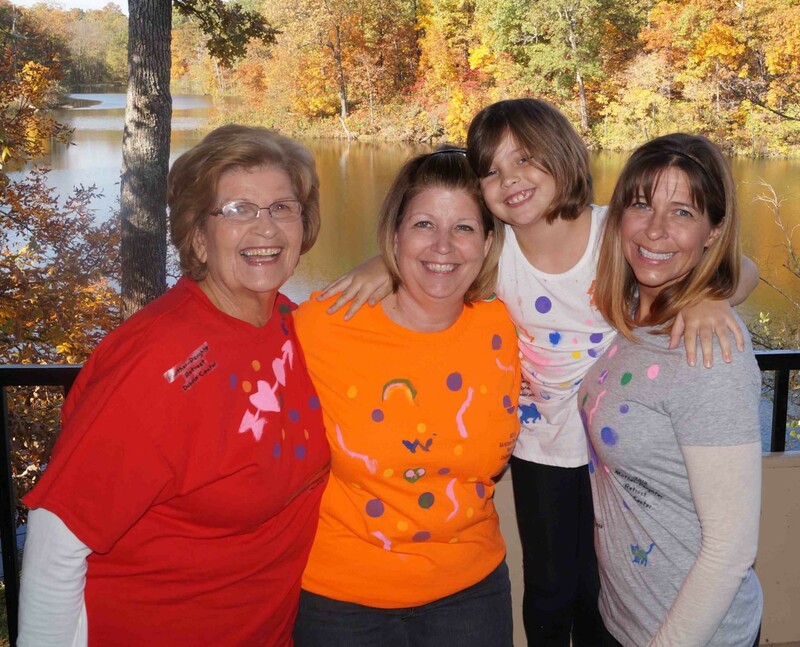 Mother & Daughter Retreat was designed to bring women closer together, allowing you to reconnect with not only God and nature, but with your loved ones as well. Relax and re-energize your relationships with your daughter, mother, granddaughter, niece, aunt, best friend, or any other special woman or girl in your life! All ages are welcome. It should be noted, however, that most activities are geared for girls age 6 and up. This year’s retreat will take place from Friday, October 16 through Sunday, October 18. Check in begins at 6:30 on Friday and departure will be by noon on Sunday. Join us for a weekend of great activities, with the price including two nights lodging, four meals, program activities and supplies. Lodging will be either in Hickory Lodge or in Main Camp Cottages, both clean and comfortable. Register early for your choice of lodging. The cost of the retreat is $107 for adults (18+), $91 for youth and $75 for girls aged 4-11. Register soon – space is filling up! Our deadline is Friday, Oct. 2. The registration packet can be downloaded here, or download our Fall Activities Brochure for more information on this and other fall events happening at DuBois Center. Autumn is officially upon us and with it comes cooler weather, beautiful foliage, and, of course festival season! DuBois Fall Festival is a can’t-miss. With family friendly fun galore, you’ll want to spend the entire day with us, participating in activities, making crafts and chowing down on delicious food. 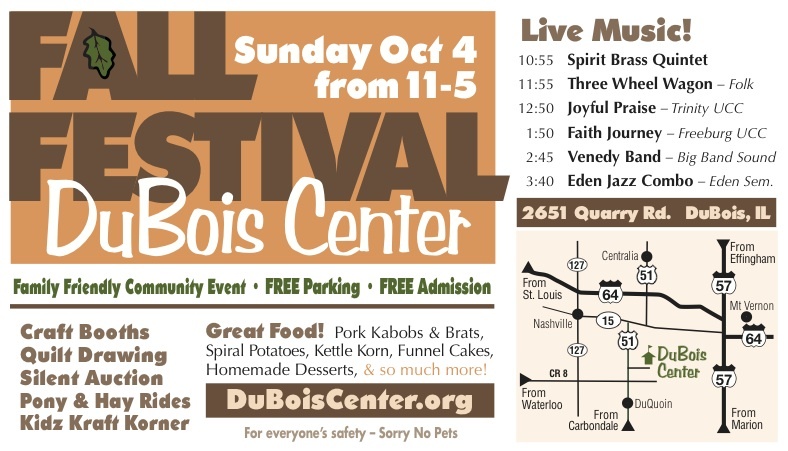 Our annual festival will take place on Sunday, October 4 from 11 a.m. – 5 p.m. That is unless, of course, you are coming early for our DuBois Dash fundraiser! Learn more about the 5k and Fun Walk here. Bring family, friends and fellow church members to support DuBois. This free event is full of activities, including a Kids Kraft Korner, pony and hay Rides, a silent auction, a quilt drawing and many craft booths from talented vendors. Food booths will also be selling delicious goodies all day, including pork kabobs, kettle korn, funnel cakes, homemade desserts and more! We will also be featuring plenty of talented musical acts, including everything from jazz, to folk, to big band sound. Check out our ad below for a full schedule of live music, and also for a map on how to get here! We are one of Southern Illinois’ best kept secrets, but we want to share our secret with the world! Bring everyone out to show off the beauty that is DuBois Center in the fall, and have some fun along the way.